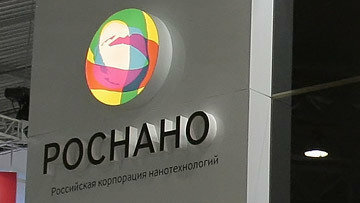 Rusnano top manager to remain in detention until June | Russian Legal Information Agency (RAPSI). MOSCOW, May 7 (RAPSI) – The Basmanny District Court of Moscow has extended detention of the managing director of the state-owned technology corporation Rusnano Andrey Gorkov involved in a 738 million-ruble (about $12 million) embezzlement case over embezzling, the court’s spokesperson Yunona Tsareva has told RAPSI. Gorkov charged with abuse of office resulted in heavy consequences will stay detained until June 9. Investigators believe that between 2011 and 2013 Gorkov was transferring Rusnano’s assets to the Smolensky Bank under the guise of provision of cash services, in effect financing its activity. The top manager denies guilt and notes that he did not have the right to manage corporation’s money at the moment of revocation of the bank’s license in 2014. As a result, Rusnano lost over 738 million rubles ($12.5 million) and, according to investigators, 400 million ($7 million) were allocated to Gorkov’s brother, who is at this time wanted by the police, a day before the bank’s license was revoked. Gorkov has pleaded not guilty. 15:53 07/05/2018 The Basmanny District Court of Moscow has extended detention of the managing director of the state-owned technology corporation Rusnano Andrey Gorkov involved in a 738 million-ruble (about $12 million) embezzlement case over embezzling.